We’re just a few weeks away from one of the most cider-ific times of the year (for craft cider fans) in the Pacific Northwest: Oregon Cider Week! The Northwest Cider Association recently announced info for the 7th annual iteration of this cider celebration in one of the best cider regions in the county. From June 21 through July 1, events will take place across the state of Oregon to educate and celebrate the region’s thriving artisan cider industry. Regional cider stars will be on display at customer-facing parties and events, like cider house tours, tap takeovers, bike tours and yoga. 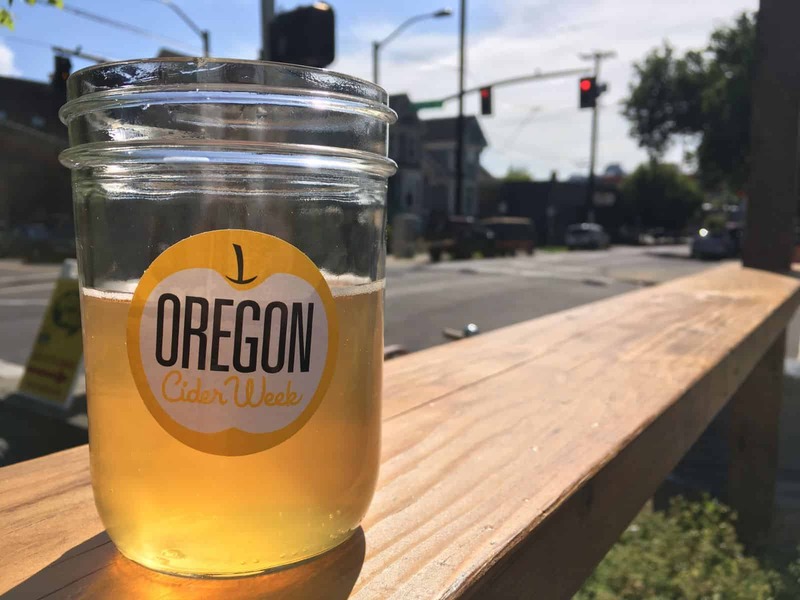 As if all the fun events weren’t exciting enough, Oregon Cider Week culminates on June 29 and 30 with the 8th annual Cider Summit PDX, the largest artisanal hard-cider tasting festival in the region. The summit will take place at The Fields Park in Portland’s Pearl District, and will offer nearly 200 cider samples from the industry’s leading cider makers. Grab your tickets now! Other artisans are getting in on the action, too: Blue Star Donuts will unveil the official Oregon Cider Week doughnut which will be sold in its stores during Cider Week. Expect more cider-themed fun from Ruby Jewel Ice Cream and Powell’s Books, which will host events highlighting top cider industry authors from the Northwest. Stoked yet? For more information about Oregon Cider Week, visit OregonCiderWeek.com and follow @ORCiderWeek on social media!